New windows. For a quieter, healthier life. Roads, industry, railways, planes: our world is becoming louder and louder. It is therefore all the more important that this noise does not penetrate your personal living space. Noise has been proved to be harmful to health, even when you are no longer aware of it. The consequence can be cardiovascular diseases, irritability, and poor concentration. 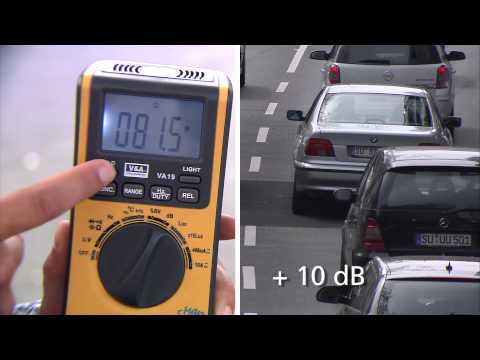 The unit used to measure volume, or sound pressure, is incidentally called decibel (dB). When sleeping, over 30 % of the population are exposed to a permanent noise level exceeding 50 dB. This is two and a half times more than the maximum recommended value of 20 dB for bedrooms. Effective noise protection therefore provides a sustainable boost to the quality of living. If you want to improve sound insulation in your own home, top priority must be given to the windows. These are available in a range of sound transmission class, depending on the environment and the noise levels. Ultra-modern window technology with highly durable PVC-U profiles and special functional glazing provides effective sound insulation that keeps everyday noise where it belongs – outside. Effective noise protection starts with competent advice, and first becomes perfect when it is properly installed. After all, you can benefit from real peace and quiet only when the elements are installed correctly and properly according to the requirements for each of the sound transmission classes. Windows with a high sound insulation factor are also heavy, and demand much from the design of their frames. Static properties, stability, and pull-out strength must be adequate. Also, windows and masonry must form a clean and tight seal. Only then can sound insulation measures be successful and make a key contribution to the protection of your health. What can you do against noise? How can the stress caused by noise be avoided? New windows help!